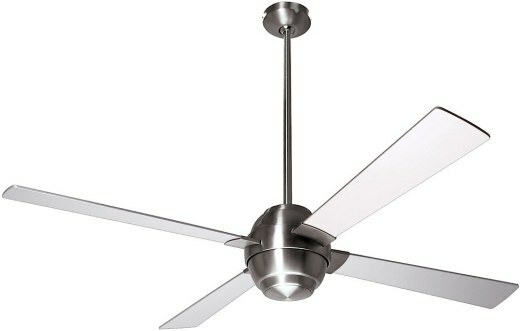 Gusto Fan Bright Nickel - 56"
The Gusto fuses a succession of stepped alterations that make up its attractive fan housing. Its clean lines add simple detailing and make this an eye catching air mover! The Gusto is available with a 46" or 56" blade span. Blades are also available in white. 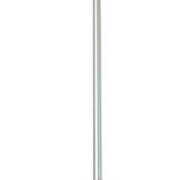 Includes 4" and 14" downrods, making a 14" or 24" overall drop length. Additional downrod lengths are availble. 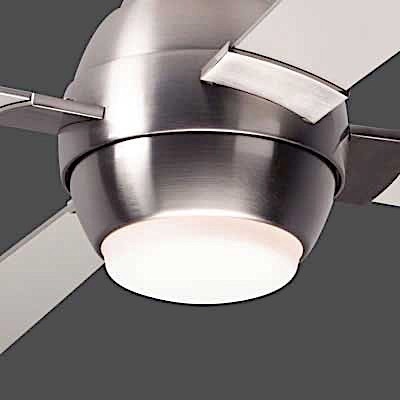 Mounts on any ceiling slant up to 33 degrees. Airflow is 6340 cubic feet per minute. For full information, download the specification sheet. 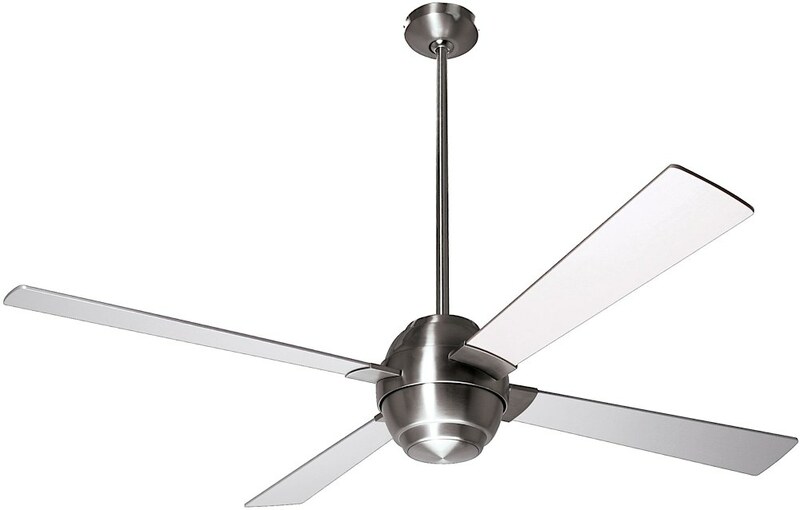 This fan is rated for dry and damp locations. Please download information about hanging this fan in damp locations. Includes 001 wall slide control for fan speed only. Light kit option available.